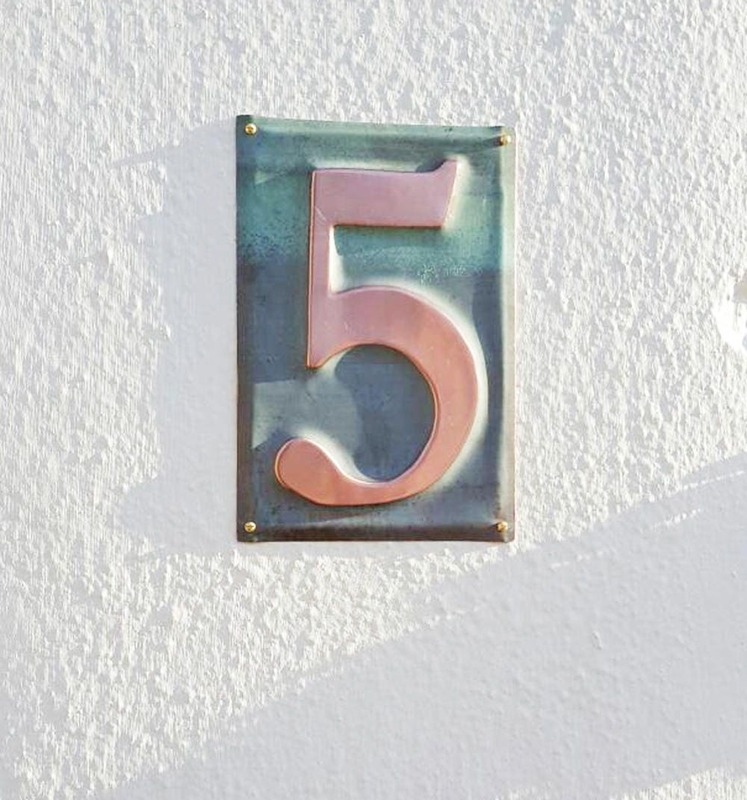 1 x 6"/150mm house numberin Garamond font pressed from one piece of eco friendly copper - this is a 99% recycled product. Plaque is fixed onto wood with copper rose head nails or wood and masonry with brass round head screws. Supplied with fitting instructions. 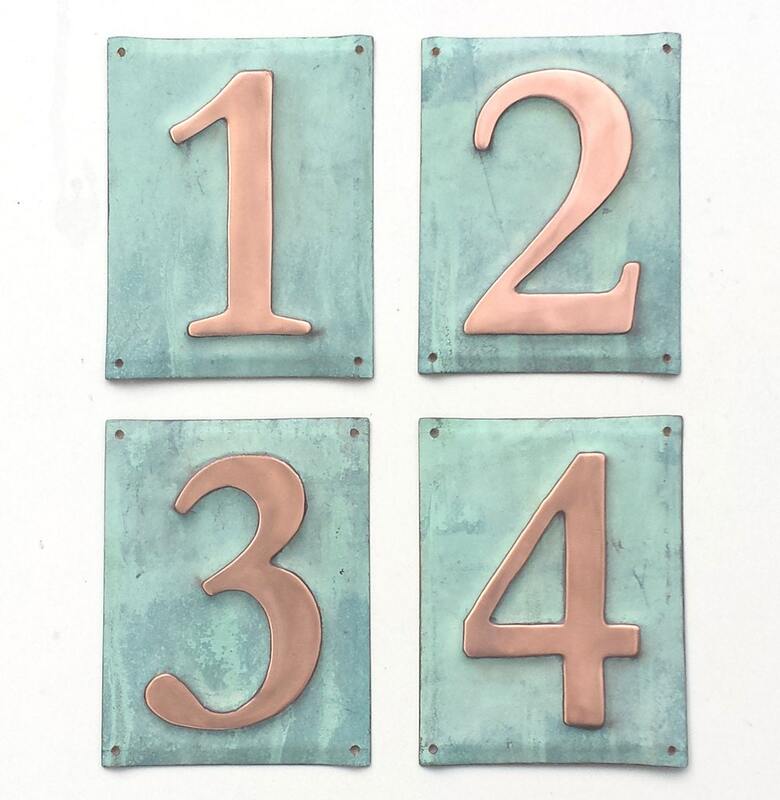 The patinated numbers would look particularly well against a light coloured wall or on grey weathered oak post or door. 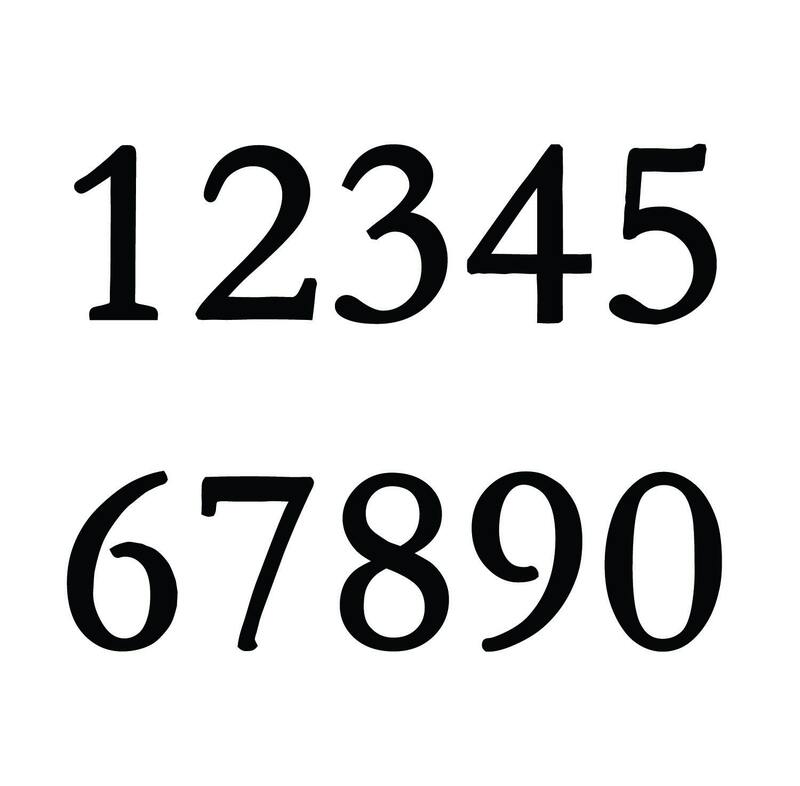 1,2,3,4 - buy 1, buy 2, buy 3 ? This is my second such sign and I am equally delighted with this one! Now I have one at my front door and a matching one on a tree at the end of the driveway. They are gorgeous--just perfect! Perfect design, perfect colors, perfect balance. David offers fabulous customer service as well. First class operation all around. These are absolutely beautiful! Takes a while to get, but worth the wait! 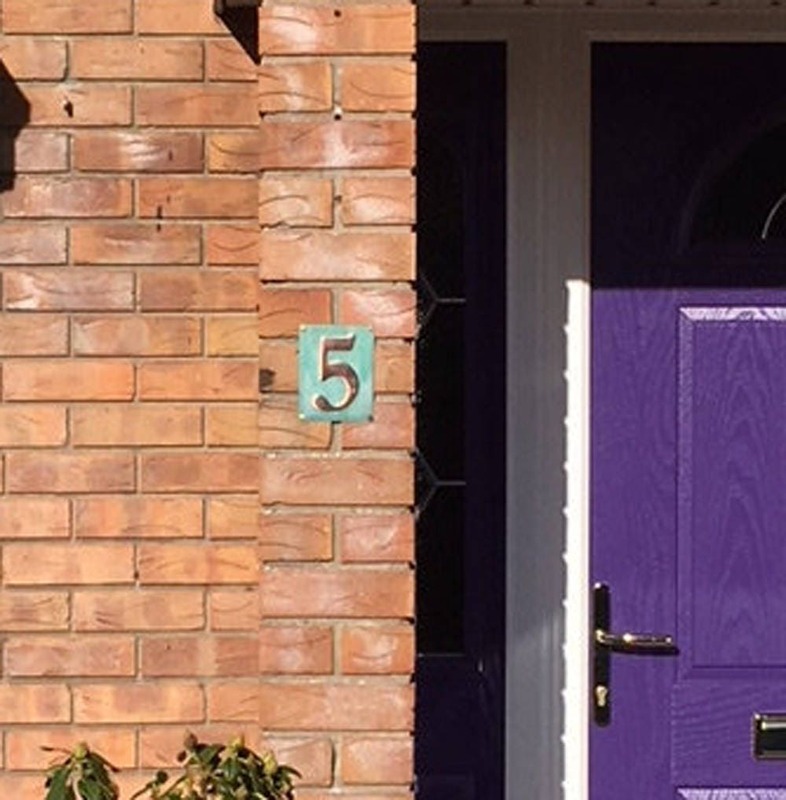 Fabulous house number! 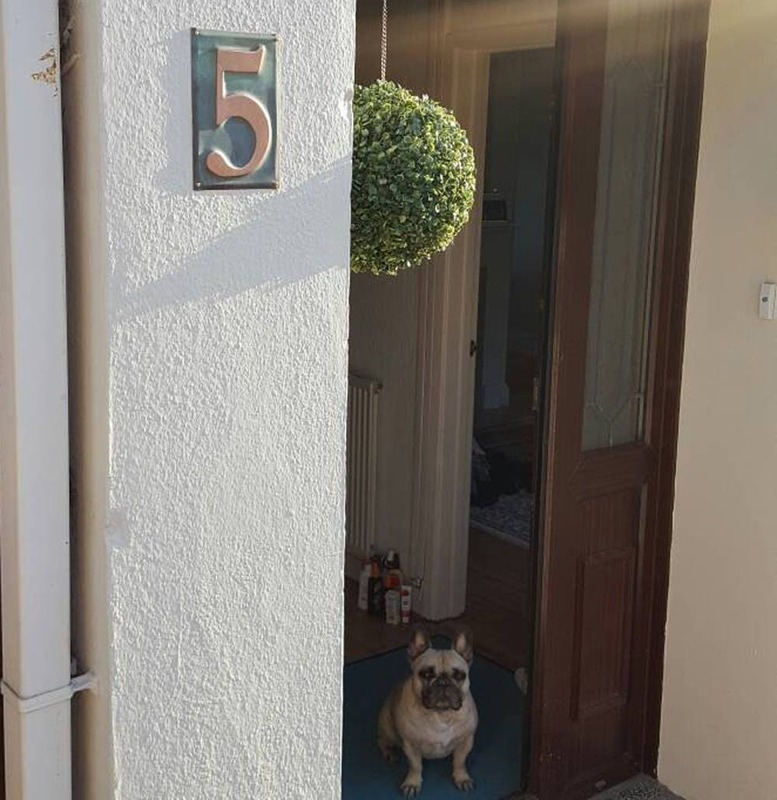 Just moved into a new estate and the house numbers were tiny. This really looks amazing and it's easier for people to read! I absolutely love our new Number 5. It was worth the wait (2 days short of a month). I had to chase a little bit but as these items are made to order you can understand why. I wouldn't hesitate to order again from David. Beautifully crafted piece! (And great customer service.) Quite an upgrade for my house!